We’d love your help. 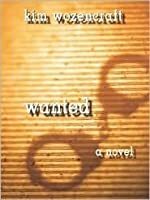 Let us know what’s wrong with this preview of Wanted by Kim Wozencraft. Diane Wellman was in the wrong place at the wrong time. On patrol one hot night in Texas, she happened across the scene of a chilling multiple murder. An idealistic young police officer, Diane questions the nature of the open-and-shut case. She knows the prosecutor has put an innocent man in prison for the crime. And Diane saw someone else that night. Gail Rubin has been in the wrong place for the past eighteen years. She was sent to prison because of her peripheral involvement in a robbery--a robbery where someone was killed. And now someone is determined to make an example of Gail. Both Diane and Gail have been done wrong. They want revenge. And they are willing to risk everything to find a way out of the nightmare their lives have become. When the two of them make a break for it, they delve into the crime for which Diane has been put away, and they uncover a bigger conspiracy than they can even imagine. And once they're on the run, there is no turning back. 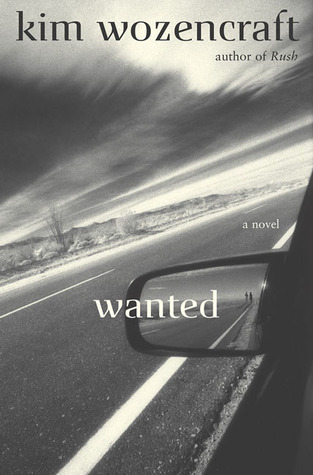 Wanted is a roller-coaster ride and an adrenaline rush, a beautifully crafted thriller of justice and redemption. Ik las eigenlijk van deze schrijfster het boek: De aanklacht. Maar omdat dit niet voorkomt in de databank heb ik deze beschrijving maar even gepikt. De aanklacht gaat over een structureel door haar (voor de buitenwereld uitermate charmant overkomende) echtgenoot mishandelde vrouw. hij mishandelt haar niet alleen geestelijk en lichamelijk, maar isoleert haar ook volledig van haar familie en vrienden. Hij dreigt met moord van niet alleen haar zelf, maar ook van haar familie als zij dreigt weg te lop Ik las eigenlijk van deze schrijfster het boek: De aanklacht. Maar omdat dit niet voorkomt in de databank heb ik deze beschrijving maar even gepikt. hij mishandelt haar niet alleen geestelijk en lichamelijk, maar isoleert haar ook volledig van haar familie en vrienden. Hij dreigt met moord van niet alleen haar zelf, maar ook van haar familie als zij dreigt weg te lopen. Dit escaleert op een keer tot een steekpartij van haar kant waarbij ze haar man doodsteekt. Dit wordt door de politie als moord beschouwd: de aanklacht. This was a fun, enjoyable, fast read. I’m not sure why it has several bad reviews. Yes, it was an improbable scenario but it was fun. The writing was descriptive and the author did a good job of weaving the characters thoughts into the story line. Couldn't put it down. Diane was a very bright police officer. It should have been obvious to her who had set her up. It was obvious to this reader. However, the author kept the reader guessing as to whether Gail’s friends could be trusted and whether Re This was a fun, enjoyable, fast read. I’m not sure why it has several bad reviews. Yes, it was an improbable scenario but it was fun. The writing was descriptive and the author did a good job of weaving the characters thoughts into the story line. Couldn't put it down. Diane was a very bright police officer. It should have been obvious to her who had set her up. It was obvious to this reader. However, the author kept the reader guessing as to whether Gail’s friends could be trusted and whether Renfro was in on it. There were several loose ends at the end of the tale. There was no answer as to whether one of Gail’s friends had snitched or was it just chance that the cops came to Chris’ and Michelle’s house looking for them. The only negative was the foul language. Got a little tired of the “F” word. It took me just over a month to finally finish this book. Needless to say, I didn't really like it. I should've quit reading after the first few chapters, but for some reason I just kept reading... slowly, but I kept at it. I guess it was because, on the cover of the book someone named Tess Gerritsen said "Will blow you away". Hmph. I wasn't blown away at all! A couple chapters in, the book takes a sudden turn. Totally unexpected and not very believable, in my opinion. I wouldn't recommend this b It took me just over a month to finally finish this book. Needless to say, I didn't really like it. I should've quit reading after the first few chapters, but for some reason I just kept reading... slowly, but I kept at it. I guess it was because, on the cover of the book someone named Tess Gerritsen said "Will blow you away". Hmph. I wasn't blown away at all! nice premise. the author seemed to feel she had to hammer some points repeatedly. there were a lot of unanswered questions at the end of the story. but it's an easy read; you can pick it up and put it down. Author must be in la la land cause this book dosnt happen in the real world. I felt that is was a little far fetched. I liked the idea the book was heading in the beginning then it took a turn than ruined the whole thing. Id try another of this author to see if I like it better. Another one I just could not get interested in. KIM WOZENCRAFT is the author of five novels, including the internationally best-selling Rush, which was adapted into a major motion picture starring Jennifer Jason Leigh. Her work has appeared in The Best American Essays, Texas Monthly, the Los Angeles Times, and numerous literary magazines and anthologies. She was executive editor at Prison Life magazine and has written for HBO Films. Kim holds a KIM WOZENCRAFT is the author of five novels, including the internationally best-selling Rush, which was adapted into a major motion picture starring Jennifer Jason Leigh.